Ramco has announced that the largest member owned bank in Australia has selected its HCM software. The P&N bank will deploy Ramco’s HCM software as part of a major program that will also see the bank deploy the Ramco Payroll software. It is Ramco’s first win in the banking sector in Australia. It is also the first announced win since Ramco announced the creation of a centre of excellence in Melbourne as part of its efforts to expand its footprint in the country. P&N bank will deploy Core HR, Global Payroll, Time & Attendance, Talent Management, Recruitment and Analytics. Employees will also utilise Ramco self service with mobile devices. It will also use the Ramco chatbot as an alternate interface to carry out those tasks. This technology is starting to realise the promise of frictionless technology. It will enable P&N employees to carry out tasks within a secure environment in a simple way. Employees can apply for leave, obtain payslip information as well as other HR processes once the implementation is complete. One of the factors that led P&N bank to start looking at replacing its legacy system was the introduction of Single Touch Payroll (STP) Reporting. A new law comes into effect on 1st July 2018. Any employee of 20 or more employees needs to report to the Australian Taxation Office using Single Touch Payroll enabled software. Ramco software supports the new legislation and as it is able to provide both payroll and HR solutions P&M chose the software to replace its existing payroll system and modernise its HR processes. This is not a huge win for Ramco, but it could become a very important one. 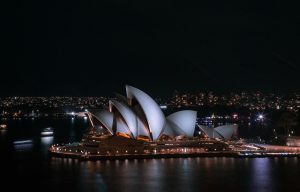 Once the software is deployed successfully, if it can turn P&N Bank into an advocate it should help to increase its presence in the Banking sector, in Australia and beyond.